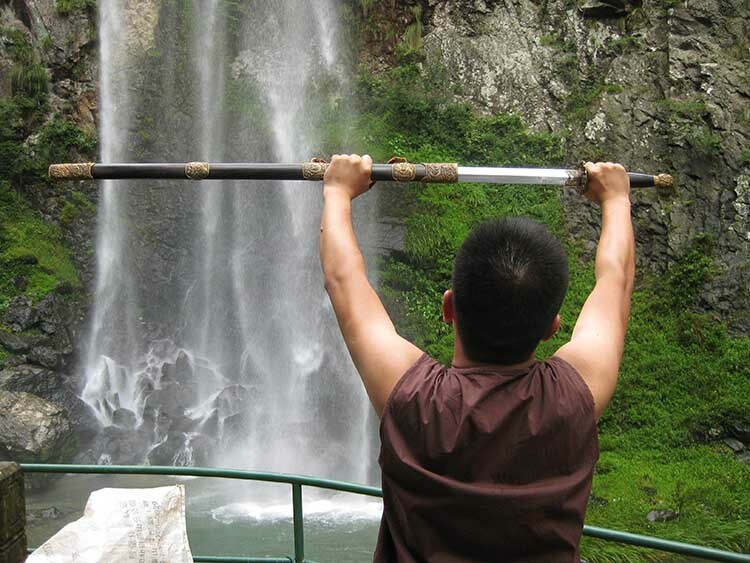 The seeds for Forge Direct were sown during my first trip to the Forges in the ancient, mountainous city of Longquan (the Dragons well) back in 2012..
At the time I was visiting several of the cities top forges and inspecting first hand the first production run of our elite Soshu Kitae Laminated Katana made under the banner of Project X with my friend and business associate, Chris Scoggin from Ronin Katana. 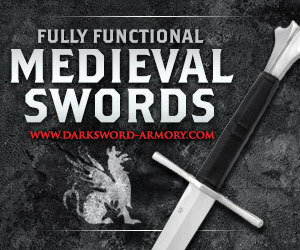 At the time, our biggest problem with these elite level Master Smith Forged Swords was the investment required to bring them in, with demand far exceeding our ability to supply them. 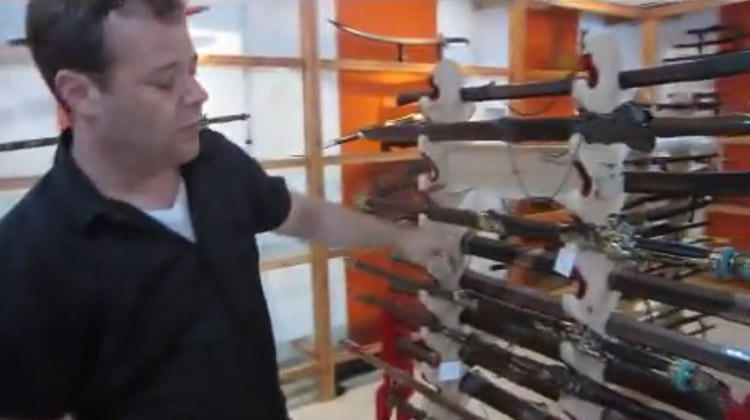 But that was not the only issue, for during our trip to the forges we saw a huge number of extremely unique sword styles and designs that we would have loved to have offered to the sword buying community, but as many were quite expensive and only a handful of people would be interested in them, it was a huge risk to import them, and so for 4 years many of the amazing and rare designs we saw during the trip were simply unavailable outside of China..
Over time, as our relationships with the owners and Master Smiths deepened, we tried many times to get them to agree to a new business model - swords made to order and shipped directly from the forges themselves..
Quite a few sellers on eBay claimed to already be doing this - but as you can see from our expose on eBay sellers, all of them turned out to be middlemen (or women as was often the case). 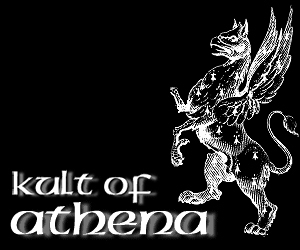 And furthermore, they often sold the cheapest version of a given sword at huge markups and claimed that it was forged by the Master Smiths..
For the actual forges, it was not worth their time to ship direct. 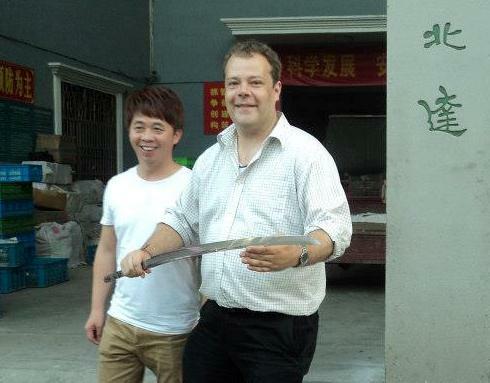 But after 4 years of pushing them, one of the major forges finally agreed to a trial run - and with great excitement on the 1st of July 2016 - Forge Direct was officially launched with a series of rare high end Traditional Chinese and Japanese swords never before seen by anyone other than wealthy Chinese based collectors.. 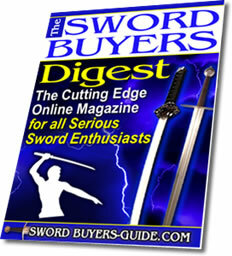 Unfortunately it was not all plain sailing for Forge Direct - after a few months, the first forge we worked with decided to pull the plug because they felt that we were offering the swords for too low a price point compared to what they were selling them for in China..
And while it looked like the project was dead in the water, the precedent had been set. 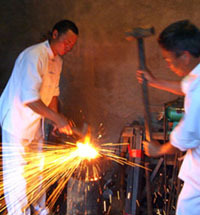 And, seeing a major forge had given it a try - a few other highly talented Master Smiths began to show an interest.. And before too long, Forge Direct version 2 was launched..
All of the swords offered by Forge Direct are made by certified Master Smiths who have served at least a 7 year apprenticeship and own their own forges in Longquan city - but we never really made a big deal about who these smiths were. 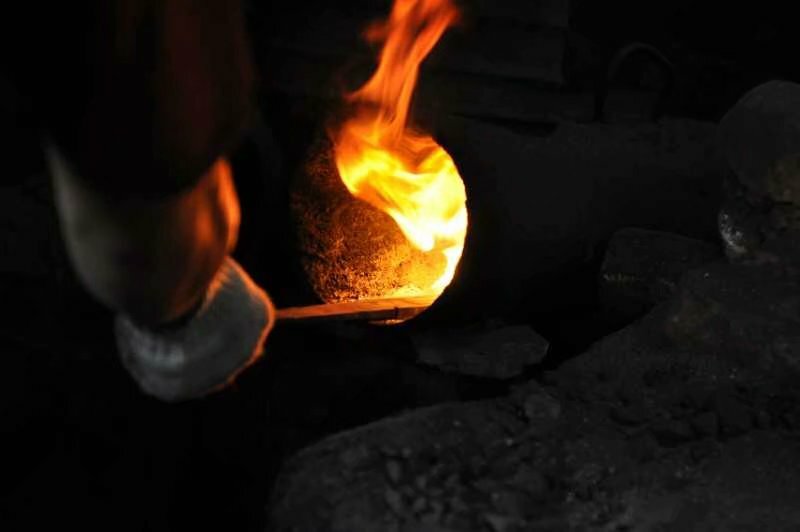 One was because we did not want our competitors to try and compete with the project directly, especially because the swords we offer in the Forge Direct line can be made at several different price points but all used the same photos, so we were concerned that they would attempt to offer the same design but one made by the apprentices, not the Masters. 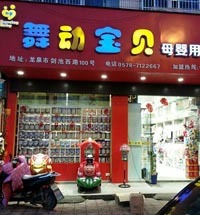 And the other was, well - these guys simply are not well known outside of China. 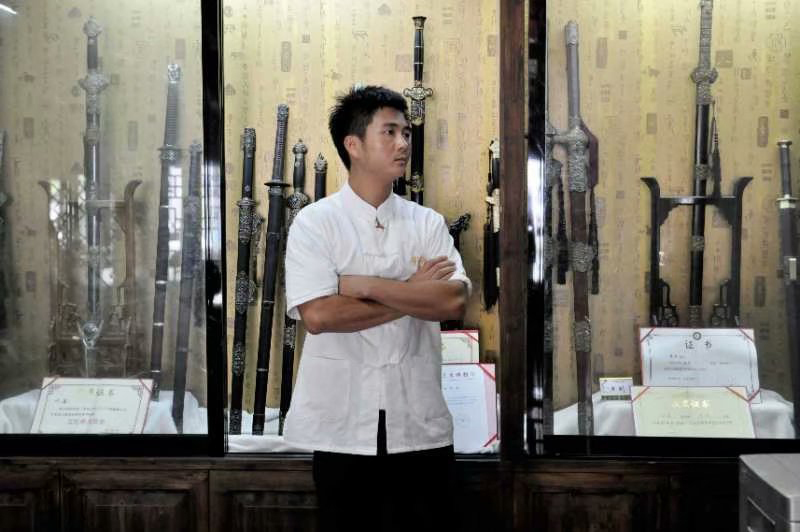 But enough time has passed I think to at least share with you some of the master smiths who are behind these amazing swords, for these days we are allied with several of them, and have even more possibly joining the project over the coming months and years..
One of them is Master Ye "Michael" Jie who is actually related to Chris Scoggins Chinese wife (he met her during his trip to Longquan!). 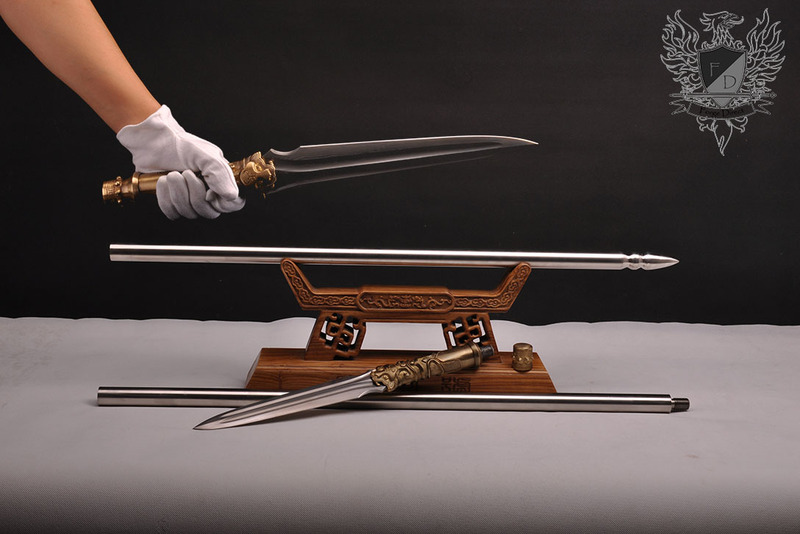 Master Jie is a 1st rank smith (city level) who trained under Jianlin Zhu (who is only a few steps away from becoming a national treasure rank 3 smith) and makes our most affordable offerings and the extremely popular Tiger Spear/Dagger set pictured below. 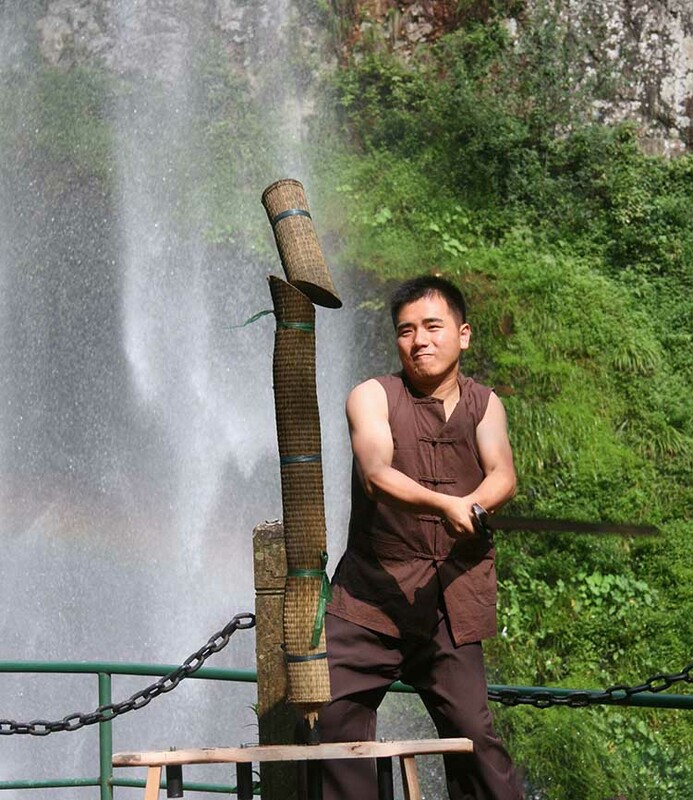 But the smith that joined Forge Direct that we are most proud of has to be the young Master Xiaolong Jiang, a rank two (province level) Master Smith who makes the stunning Forge Direct Elite Custom Katana series and most of the higher end traditional Chinese swords.. 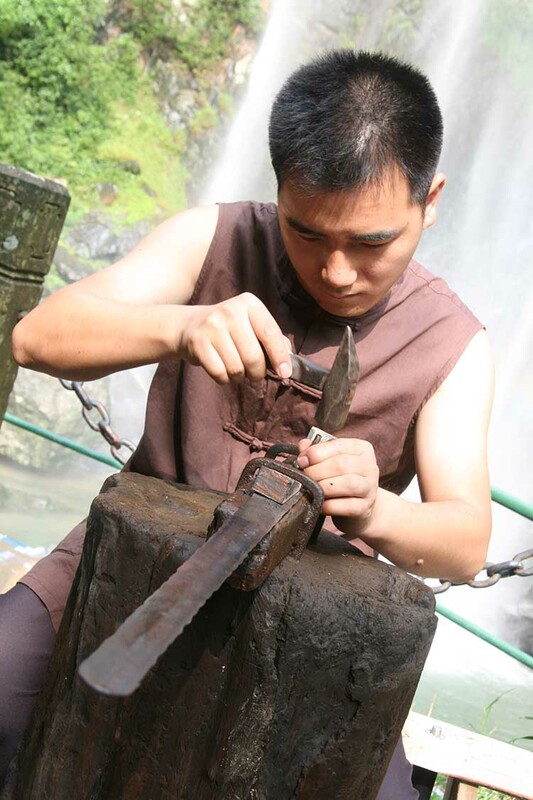 In addition to being a very talented sword maker, Master Xiaolong knows how to actually USE a sword, not just make them, ensuring all of his swords are both extremely strong, sharp and 100% functional.. 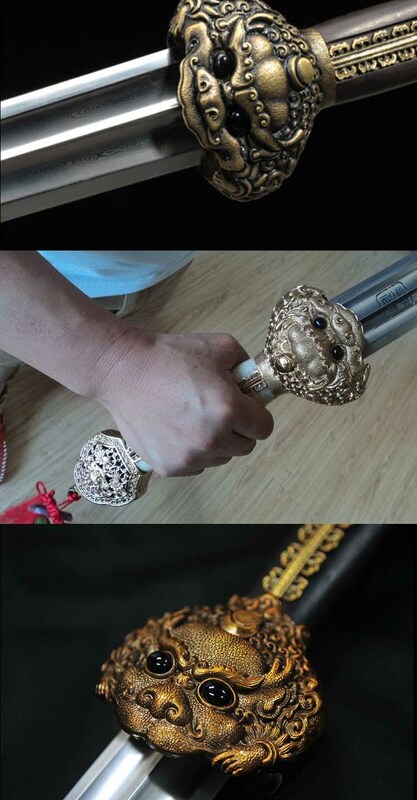 Forge Direct has quite a few imitators on eBay and Alibaba - and sometimes it can be hard to tell exactly what you are getting for your money, especially with high end Chinese swords..
Case in point, the Yong Lo Sword - a unique Ming Dynasty design that has been copied at many different levels and price points..
Below are three versions, one worth around $10,000, one $1,200 and one, $200..
From top to bottom, the $1200 Forge Direct version, the $10,000 version that will be displayed in a Museum and the $200 el-cheapo version..
Can you tell which one is which? I would guess the answer to that is almost certainly 'no' - and that is what the unscrupulous sellers are counting on.. 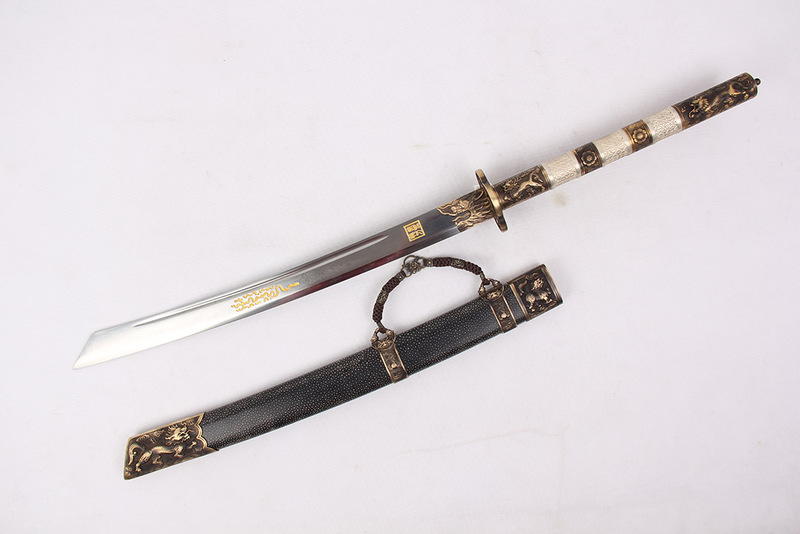 But the differences are huge - the topmost sword is folded 1095 carbon steel with solid brass fittings. 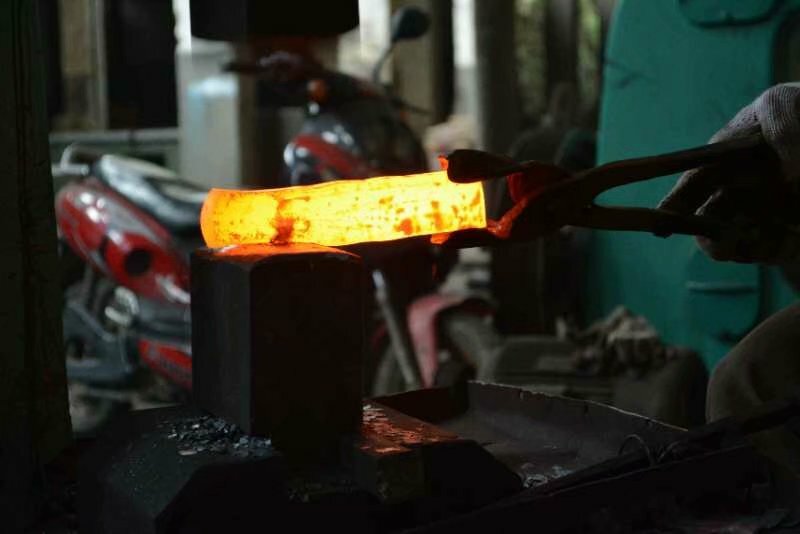 The sword in the middle - made by a level 3 (national treasure) smith with solid GOLD fittings - and the last one, basic monotempered 1060 carbon steel forged by the apprentices and decked out with brass plated zinc-alloy fittings.. 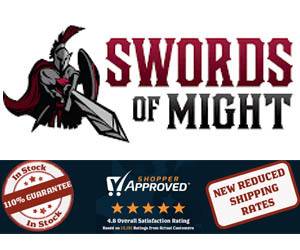 Almost every forge offers several versions of the same sword - and the eBay scammers tend to pick the cheapest ones and pass them off as Master Smith Forged, with pricing based not on how much it actually costs to make like we do at Forge Direct, but rather a price that they think they can get away with.. 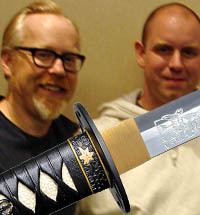 So the main difference is, we work directly with the Master Smiths (as noted, some are effectively family members of our collaboration with Ronin) and we always order their very top tier versions of a given sword, leaving the low end stuff alone (or if we do sell it, we tell you as much - and price accordingly). 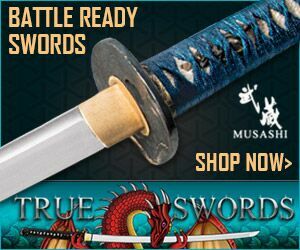 As Forge Direct continues to gain momentum, the number and variety of swords we offer as part of the project also continues to expand - and the word is getting out about Master Xiaolong's elite custom Katana series that truly are in a league of their own. 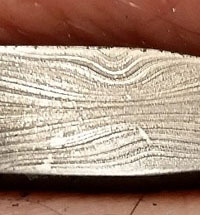 But it is not just the quality that sets Forge Direct apart. 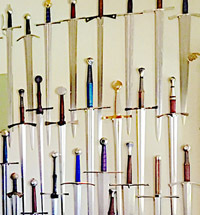 By following a 'made to order' business model, we can offer rare designs that may appeal only to a handful of people without the need to take huge risks investing in stock that may take years to sell - and so most recently we have branched out to offer some truly unique swords, such as a range of fully functional Chinese styled Fantasy Swords as part of our 'Legendary Swords' Fantasy Sword Project made by Rank 1 certified Master Smith, Michael Jie - who had already been working with us to make some of the traditional Chinese swords in the Forge Direct selection. 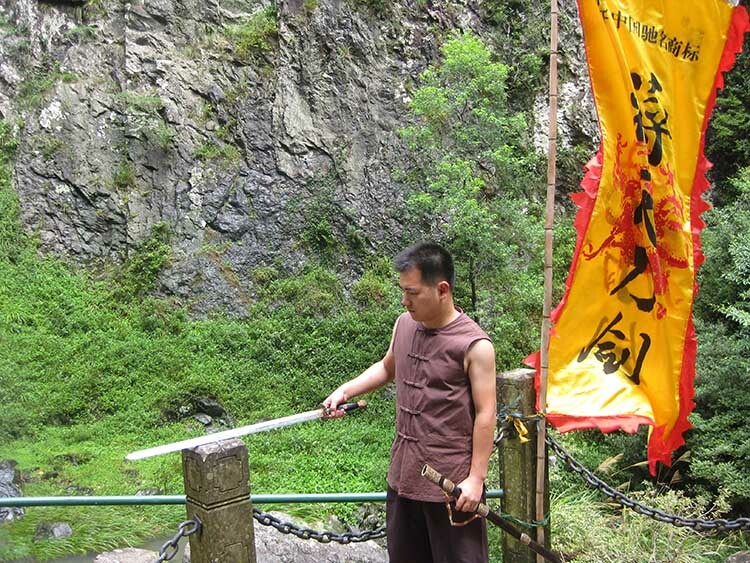 This selection of Wuxia (sword hero) style swords are based on Chinese myth and legends, but also includes some swords with a decidedly Western influence such as the eagle headed Sky Templar Sword and Gladius. 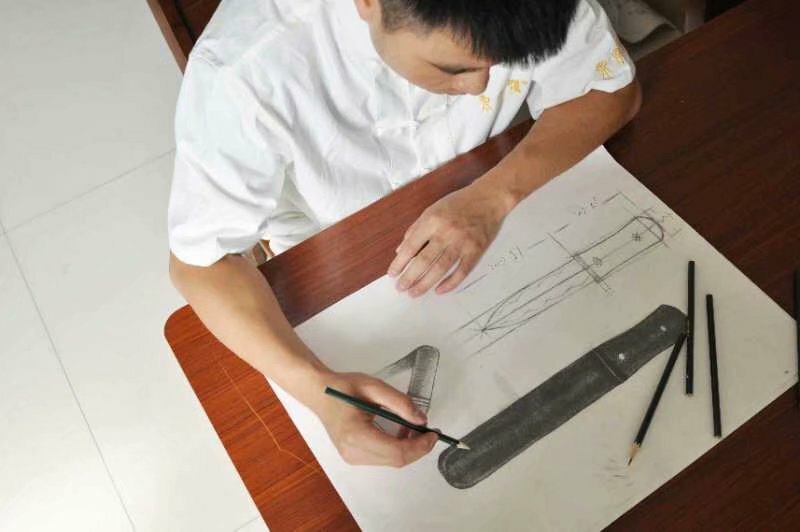 And to help us get started, Master Jie has offered his services to make them for us at massively discounted prices that we pass on to the consumer - making these some of the most affordable Master Smith forged blades on the market. 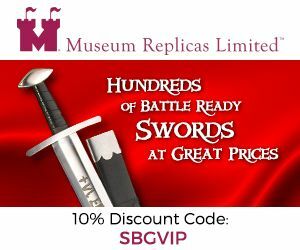 With currently over 40 sword styles on offer, all made to order and shipped out within 4-6 weeks, this project keeps going from strength to strength with a reputation for quality, customer service and rare blade types simply not seen anywhere else..